In this week’s 10 Thoughts, AniB takes a look at the movies, the usual look at this past week’s My Hero Academia episode, and as usual, a few other musings. 2. …so in that vein, The Teen Titans Go! preview looks every bit as awful as I suspected it would. Memo to Cartoon Network: it’s your #1 show because you guys pushed into roughly 95% of your available time-slots. It’s not hard to make something the de-facto top show when it’s the only game in town, and if I had access, I’d like to see the numbers of their rarely other-aired shows extrapolated over the same time, or rather, TTG’s number’s averaged together for every viewing at the same rate of something else. I bet things don’t add up, and this film isn’t going to move a lot of people at all outside the 7-12 boys demographic (and their parents.) Mark my words on that. 4. One last movie thought, non-animated: Jurassic World: Fallen Kingdom is definitely a popcorn-munching film, but from a purely critical standpoint, something about it doesn’t quite pack the same punch as the franchise’s revival song in Jurassic World. Maybe (spoilers!) it’s because weaponized dinos is such a silly premise with a fancy coat of paint over it that I can’t take it seriously. But then again, anything Jurassic Park or World related requires a suspension of disbelief, and from my experience, an IMAX screen if you’re actually living near a theater that has one. Something about dinosaurs on the biggest screen makes it that much better. 5. Alright, I’m sure you want some anime thoughts now to balance things out, and that begins with this past week’s My Hero Academia, which more or less capped off a big turning point for the series, without spoiling too much of anything. I’ll say this: Izuku’s mom is a really loving person who truly has her son’s best interests at heart, and that should be lauded. 6. Continuing on with Hero Academia , it was killing me not to include manga spoilers about Izuku Midoriya in this past week’s character piece.That said, he’s a really good example of a shonen protagonist done right, and has definitely become a favorite character of mine since I first picked up the series. 7. I’ve been reading the One Piece manga for a little while, on and off, which is absolutely terrific. 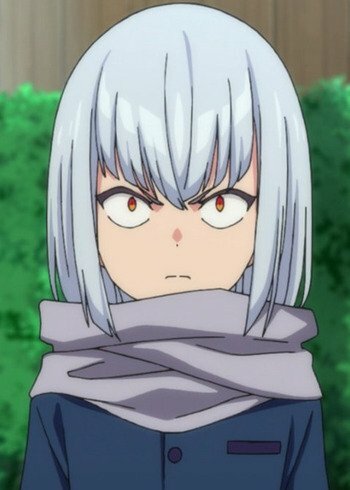 However, it is somewhat of a daunting proposition even just covering the Shonen Jump publication from the start, so don’t expect me to talk about the anime (or it various filler arcs) on here, since it’s simply too darn long to actually pick up and watch to the current point. That said… the manga is truly wonderful. I recommend it if you haven’t touched the series. 8. On a non-shonen note, picked up the first five episodes of Welcome to the NHK. What a weird, darkly humorous show so far, which is just odd enough to be intriguing without being a total turn-off. Hard balance to achieve, definitely…and this is one I’d like to see through to the end in due time. 9. 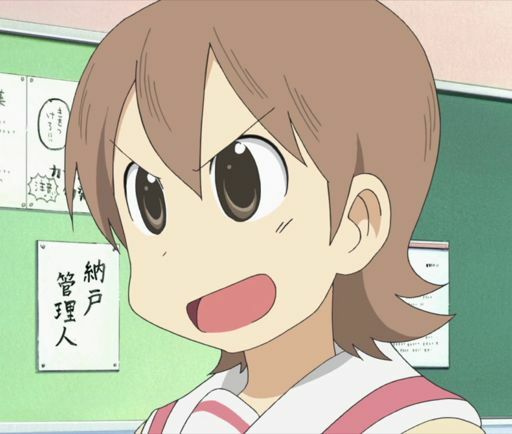 I’m planning to review a show again this week, but what that is yet isn’t even clear to me at this point. I’ve got a few pretty good ideas of what to go over though, and it might just be a Western show. Also, did anyone notice I finally added a “Movie Reviews” tab to the main site’s page? I’ve got three of ’em now, so the time seemed right…and while the focus here is still going to be primarily on shows, I’m open to animated film suggestions as well. Like what you see? Any thoughts on the question of the week, or any other suggestions about things you’d like me to write about? Leave a comment! Now presenting live: a week of heroes and villains, plus some other animation musings. It’s Hero Week unofficially here at AniB Productions- between the highly anticipated debut of Incredibles 2 this past Friday and the current arc in My Hero Academia, it’s hard for it to be anything else. 1.This week’s thoughts came a week late, thanks to the comprehensive Incredibles review that was posted last Monday instead. Before jumping into the highly anticipated sequel this past weekend, it was worth a look back into its predecessor, which was an absolutely terrific film. Check out the review here if you haven’t! 2. Naturally, Incredibles 2 was a Day 1 viewing for me, and it lived up to the hype, which was impressive considering how good the original film actually is. While I don’t intend for this week’s 10 Thoughts to turn into a shilling column for The Incredibles franchise, here’s a link to that review as well. 3. One more Incredibles thought: It was an almost surreal experience to finally revisit that universe after all that time and anticipation, and while the true measuring stick for the sequel will be against its illustrious predecessor, this film will be the clubhouse leader for Best Animated Film of the Year, particularly at the Academy, where the revised rules as of last year made it far harder for foreign films to win at the expense of critics who often don’t take animated fare that seriously unless they specialize in the field. Much as I enjoy Pixar films and The Incredibles in any capacity, this is a change that feels for the worst- and in its first year of implementation resulted in The Boss Baby and Ferdinand getting nominations, which simply felt off. 4. Alright, I suppose it’s time to talk about My Hero Academia again, isn’t it? The series’ biggest fight to date in the anime finally occurred, and for those of you keeping up with the series, you’ll be well aware of the stakes that were involved in this one…which was translated pretty nicely from the manga. 5. I’m sure the followers of My Hero Academia also want more details on my thoughts of the fight that are spoilery for everyone else, so skip down to #7 if you haven’t seen or followed the series. 6. All For One is one scary dude with a terrifying Quirk that makes his options virtually limitless in a fight. Chances are that his abilities to augment Quirks was the inspiration for the Noumu program he’d spawned, given that the creatures are known for being essentially organic meatheads of stacked combat Quirks with enhanced physicals acrost the board. 7. Don’t look up if you want to avoid spoilers! It was definitely a fitting arrangement to have events go down the way they did in My Hero Academia and Incredibles 2 releasing in back to back days, which made for a vividly entertaining weekend in animation. 8. In non-hero week related stuff, the request to write a piece on “a anime harem of my choice” was quite entertaining, partially because it was so unexpected, but I do thank The Luminous Mongoose again for the nomination to do so. I think it embodied something important about life though: sometimes, when you write something outside of your usual routine, you grow from it, and even get rejuvenated to some extent as well. So it was a fun exercise! 9. Heard from a friend that Disney’s DuckTales reboot has had some more character developments, including a Gyro Gearloose that in their words, “is much meaner.” I’ve yet to sit down and really dig into the series, but I am intrigued, and last year even wrote an initial impressions piece based on the very entertaining pilot. 10. Since the success of the past character piece featuring Nagisa Shiota from Assassination Classroom, I’ve been hard at work on a new one, which hopefully I’ll release sometime this week. There’s also a few other ideas in the works going forward, so every day and week will continue to bring surprises! I hope everyone has a great week, and feedback is always appreciated! If there’s any animation show, character, movie, or even episode you might want me to take a look at, let me know! The long awaited sequel is here at last. Does it live up to its name? As promised, here is AniB Productions’ review of Incredibles 2! In a first, there’s going to be a spoiler-free section…and some spoiler thoughts as well, along with the usual grading format. The 13 and a half year wait is finally over. Yes, today (at the time of this writing) was the day Incredibles 2 finally turned from fiction into reality and audiences jumped back into the world of heroes right where they left off back in 2004, with John Ratzenberger’s Underminer announcing his “war on peace and happiness!” In a twist though, the movie is opened up with government agent Rick Dicker in the same questioning room from Jack-Jack Attack with Tony Ryndinger, Violet’s new boyfriend as he describes the beginning of the attack and the shock of finding out Violet was in fact, a superhero…and off we went. Since this is the non-spoiler section, it won’t be entirely easy to dish out the juicer details of the film, but there are some things that can be confirmed without doing so, such as the return of the jazzy Incredibles motif courtesy of Michael Giancchino, or that Jack-Jack inevitably plays a bigger role in this film, hardly a surprise given his relatively minor casting in the original film. However, the more pressing question that anyone’s dying to ask is “was it worth the wait?” To that, the answer is a pretty clear “yes,” with a lively action plot, more than a little influence from classic Bond adventures, fluid fight sequences with all the beauty you’d expect a Pixar film to have, and a rousing climax. It is in a word, “super”- and worth the investment into a theater trip when the rest of the cinema is (or was, if you read this weeks or years after the fact) lacking at the time of its release any sort of rousing alternative….until Jurassic World’s sequel hits theaters next weekend, but that’s another story entirely. Okay, so now it’s time to discuss the little nuances and details of a long-awaited film that exceeded expectations. First off, picking up where they left off was probably a good decision now that I’ve seen the film, though I would have liked to see more of the Underminer after the frenetic opening sequence. He’s still digging his tunnels underneath Municiberg for all we know (and he’s one ugly mole for sure.) This part of the movie was as action packed as you’d expect (and hope), and a useful framing for introducing the wealthy businessman who’d push to revive the supers via a comprehensive plan- which he wanted Elastigirl to spearhead, much to the chagrin of Mr. Incredible. I’m sure you all want to hear about Dash, Violet and Jack-Jack, the Parr children. I’m happy to report that the expanded roles they get in this film are in equal parts charming, funny, and serious. Violet receives an interesting subplot after Tony’s mind is wiped by Dicker at the beginning of the film, and true to her development from the prior film, she’s a lot more outgoing from the get-go, and isn’t afraid to voice her displeasure when things go south. She also has much better command over her powers, and definitely gets to do some cool things with her force fields in particular. Dash is the only one of the original VA cast that was replaced between the first two films (Huck Milner stepped in for Spencer Fox, who simply got much older in that time frame), but you’d never be able to tell the difference as on screen, he’s still the same confident, slightly cocky kid you’d come to expect. In this film, he gets a running gag of pressing the wrong buttons on control panels of very high-tech things…which actually pans out with the unexpected and fun return of the Incredimobile after the discovery that Bob still had the remote to the car. The single biggest change in this film though, had to be the emergence of Jack-Jack as a major factor in the film. As you might expect, the youngest Parr’s role often was fairly comedic, but the humor visually worked, particularly the fight with the raccoon as a good example. Jack-Jack also wound up being a major source of Bob’s headaches in parenting while Helen was away- but also a source of joy as he was the first to discover the baby had powers (as no one actually realized in the first film that Syndrome’s defeat was directly caused by Jack-Jack’s manifestation of abilities, or anything about the events of Jack-Jack Attack. In another clever nod, when Edna Mode is later tasked with babysitting him from a weary, sleepless Bob, she finds that Mozart stimulates his powers, indeed confirming that the Mozart that the babysitter Kari talked about over the phone to Helen in The Incredibles was in fact the initial trigger for Jack-Jack, and a sneaky reference for those who knew the film assiduously. Overall, this was a very good film, in fact, even excellent. Is it as good as the first? Not quite, but it’s close, and after years of waiting, it proved to be a worthy followup. It’s a funnier film than the original, but in return sacrificed some of its heavier emotional weight, but the end product remained the same in the most basic sense: a seriously entertaining film. Animation Quality: The latest offering from Pixar is always eye candy, and Incredibles 2 was no exception. The action sequences in particular stood out as fluid and lively, and the colors popped off the screen with a vividness that was wonderful. 5/5 points. You probably already know and love the Incredibles family, but the major difference this time around is that Helen takes center stage, while Bob plays more of the deuteragonist role this time, but in a way that both supports their characters well instead of awkwardly. Mrs. Incredible, real name Helen Parr, is Bob’s wife and the former pro hero Elastagirl, noted for her incredible stretching powers and elastic limbs that allowed her to contort her body into almost any shape and develop a unique melee style of combat. In retirement though, she’s a devoted mother and wife who wants the best for Bob and for her kids, who can be a handful between teenage Violet, Dash, and the youngest Parr, baby Jack-Jack. She secretly misses being a hero, but she’s equally as willing to live in the role of a stay at home mother as she is Elastigirl. In her words, “she’s flexible.” That mantra is put to the test when a wealthy telecommunications tycoon pegs her ahead of her husband and Frozone to lead a comeback of the supers- meaning that while she gets to revive the Elastagirl mantle, she’s forced to leave the kids with Bob, who between his glory days dreams and usual status as breadwinner until recently, wasn’t cast into that role. Mr. Incredible, real name Bob Parr, is a man who still pines for the glory days of his youthful prime as a hero before the government decided to push the idea of a hero society underground. Reinvigorated by the defeat of Syndrome, things go awry when the attempt to stop the Underminer turns sour and Rick Dicker shuts down the experimental program to bring supers back, deflating him until a new offer comes in…and Elastigirl takes center stage. And so, instead of being “the man” this time around, Bob’s challenge is to be a good dad while also dealing with the general jealousy of not being “Mr. Incredible” all the time. Bob, despite his shortcomings, is a good family man, husband and father, and his best interests at heart intersect in his mind with what’s good for his family. When he actually takes to the fight though, he’s blessed with the power of super strength and enhanced agility/reflexes, his power on the battlefield is no joke. This go-around, Violet and Jack-Jack play a much larger role, while Dash plays more of an important supporting role. 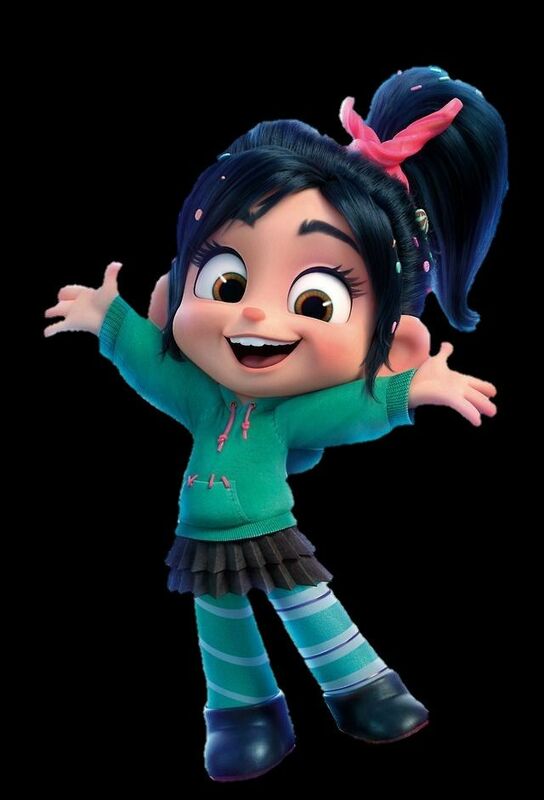 There’s a subplot with Violet in her role that unfolds as a clever mix of the age-old angsty teen and the issues of being a super that conflicts with having a normal social life. These issues Violet works through in the film, along with showing off some pretty impressive uses of her force field abilities this time around, along with invisibility. 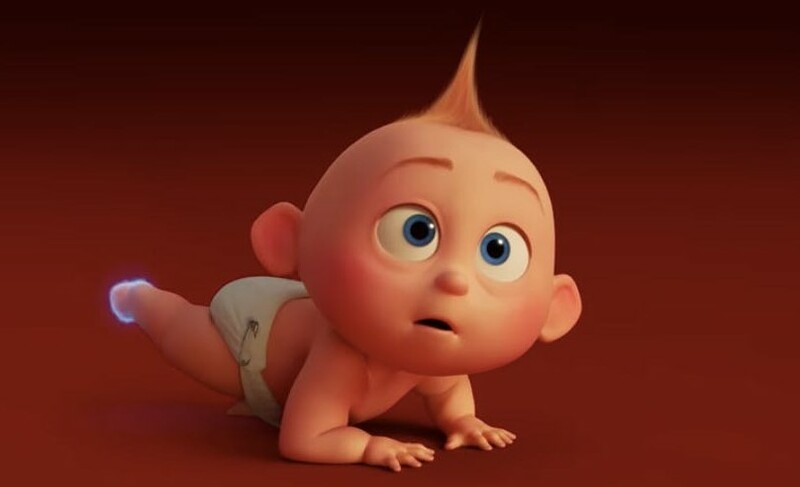 Jack-Jack’s role I talked about at length in the spoiler section, but for the non-spoiler people, he does in fact get a much larger role in this film. You won’t have to wait until end of the movie this time to get some significant action for the baby of the family. Dash mostly plays a supporting role, but still has some genuinely funny moments and things he’d only do that sometimes work…and sometimes don’t work at all. The change in voice actors also went off seamlessly. Sadly, he doesn’t get quite as cool a sequence as “100-Mile Dash” from the first film, but he’s still a fun character. Frozone and Edna reprise their roles as well. I’m happy to report Frozone gets a larger role in this film, particularly when it comes to actively battling, and Edna still gets her moments, so don’t worry about it. I’m not going to mention much about the new characters here for spoiler reasons, but they definitely give a much different feel to this film than the first. They also work well within the context of the story. If you’ve seen the movie, you’ll know who I’m referring to. 4.5/5 points. The plot from the first film about super being illegal rears its ugly head again as the main issue at the center of the film, and it’s within that context that a comeback attempt for heroes is spearheaded by a certain new character and his influence. In the mix of that is another family tale that unfolds. There’s a clever inspiration from Bond films that you can feel in this movie, along with the obvious silver-age superhero influence, and a touch of modernity that creates a clash of the cutting edge against the old-school, and like the first movie, technology plays a big role, though it’s not via giant hero-killing robots this time. 4.5/5 points. Themes: The family aspect of the Incredibles remains intact, along with the fine balance of superhero work that created issues for Mr. Incredible in the first film and now Elastagirl. It’s still really well done, though perhaps not with the same level of depth as the first film, and while the main villain is good, that individual might lack some of the extra personal depth of a “Syndrome” though the conviction is certainly there. 4/5 points. Don’t Insult the Viewer: Michael Giancchino’s score once again is wonderful, reprising the jazzy themes that helped carry the original film, albeit with new flairs and leimotifs. This film is a fun ride throughout, and is briskly paced, balancing storytelling with action in a way that makes for an entertaining end product. 5/5 points. Overall: 23/25 (92%): It was always going to be a daunting task to live up to the original Incredibles film, which is no doubt a modern animated classic at this point. However, this film managed enormous expectations with flying colors, and viewed purely on its own merits, it’s an excellent adventure that preserves the family-flavored brand of superhero-ing that The Incredibles is known for, creating another worthy adventure for all ages to enjoy. There’s a condensed version of the show’s narrative being told in them, and even more cool (which can’t be noted here) is the fact that as new students or teachers join the class, they actually join the OP. This was most noticeable after Irina Jelevic joined the staff in season 1, as well as two other “transfer students.” The amount of detail as a result, is actually worth noting…as is the silly dancing of the first two iterations of the OP, which grows on you. Sometimes, the lesson to to be learned is that a refreshed look at some aspect of a show can make you learn new tidbits, and appreciate it all the more. 4. I’m going to believe to the end of time that Coco was the best film of 2017. No, not just best animated film, but best overall film. It had everything- eyecandy animation that augmented the storytelling, an authentic cultural experience, lovable characters, a heart-rending narrative, and one of the most emotional endings I’ve seen in any film. I did write about it at Christmas, but this thought was reinforced after seeing quite a few of last year’s films since the semester ended. 5. Since we’re on the topic of movies, I really hope the third iteration of DreamWorks’ How to Train Your Dragon franchise really flies next year. To put it bluntly, the first two films are the only thing in the last decade that even remotely reached the level of Pixar (or now, Walt Disney Animation’s) finest movies in the same stretch, and they were both a pleasure to watch, complete with wonderfully fluid animation that brought this intoxicating, rough world of Vikings and dragons to life, and an emotional core to match. Maybe it’ll win the Academy Award this go-round though. Who knows? 6. Last week, I brought up Martian Successor Nadesico. I’ll be looking to try and turn that into a review, perhaps even this week. One heck of a catchy opening in that show, as I noted in the previous 10 Thoughts. 7. I’ve been meaning for a while to do a deeper dive into retro Western animation. You may or may not recall a while back that I did in fact take a look at Hanna-Barbera’s The Huckleberry Hound Show, and also wrote about the classic Looney Tunes episode “Duck Amuck,” but not much else. The classics are the classics for a reason though, and I’m very fond of them, and there’s a reason for that, beyond the history: most of them are still really, really good productions. 8. I noted recently that in a little over a month, it will mark the ten-year anniversary of the Avatar: The Last Airbender finale of “Sozin’s Comet.” What an incredible finish to an incredible show, and one that still resonates as deeply now as it did when it debuted. 9. Since I asked last week, if you’ve got a favorite character, leave a comment below! I might turn it into a “What’s in a Character piece” for the future, and that could be exciting. 10. Now I definitely need an Incredibles 2 thought in here: We’re finally within a tangible distance away from the movie’s release and I’d be lying if this wasn’t my most hyped movie in forever. It’s not just the fact that audiences waited 13 and a half years for this sequel to come along, but it’s also the fact that The Incredibles has always been my favorite film, since I first saw it in theaters back during December of 2004. The timeless narrative, which had an appeal to people of every age, and the innovative blending of a dynamic family narrative and the silver age of superheroes combined to form one heck of a movie, and one that bias aside, can still be consider one of Pixar’s best. Who knows? Maybe I’ll have an Incredibles review in the next 10 days…and then of course I’ll cover the film. I know my M.O. is shows, but my first love was always movies and you bet I’ll be covering this one. Like what you see? Enjoy the 10 Thoughts column? Still have a character or show you want to see done? Leave a comment!